This is an exciting and busy time of year around Cornerstone and with so much happening, we wanted to touch base with you and keep you informed of all that God is doing at Church. There are many opportunities for you to be a part of God's amazing work in this community, and we hope that you will take time to pray and ask God how He wants to use you. Above all things, we desire to be known as the church in our community that is focused on God. Though we feel that great preaching, great music and community involvement are important, we do not want to be known for anything less than a laser focus on God. In this series we will see how the Bible helps us define and refine our focus on God. Directing KiDS each week with the goal of understanding and loving Christ! Each week, KiDS will interact and participate to bring the stories of the Bible to life. Some weeks we will rehearse, other weeks we will film and produce. 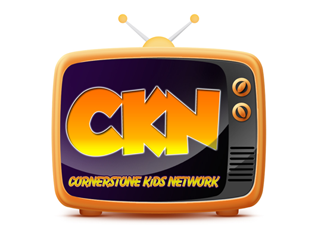 In the end, everyone will learn the Bible, and be able to share it through video via our online KiDS NETWORK. We need adults who can write scripts, run video cameras, direct, edit and produce. If you want to be a part of this exciting new network, then reply and let us know! Last year we worked and planned for 400 people to come to our annual Trunk-or-Treat. By night's end, we saw just short of 1,500 souls come through. God's abundant blessing last year has taught us to be ready this year! In preparation for 1,500 people we need all hands on deck. We need over 100,000 pieces of candy, 50-75 people to decorate their trunks and pass out candy, we need volunteers for the parking, registration, bounce houses and refreshments. Every person who comes to Trunk-or-Treat is given a gospel tract, along with information about our church. Then, everyone who does not indicate a church home is followed up with and invited to attend Cornerstone.